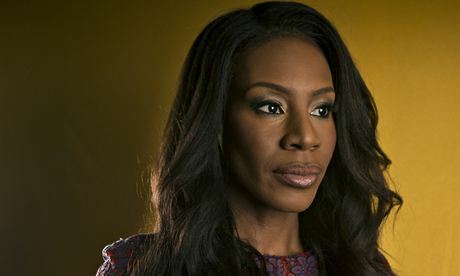 The Women's Media Center celebrates Amma Asante, among other influential women, at their 2014 4th annual Women's Media Awards for the directorial excellence for her latest film Belle. See article in its entirety at Women's Media Center. British-Ghanaian Amma Asante wrote and directed the award-winning A Way of Life (2004), a tough and uncompromising film that relates, beyond issues of black and white, the complexities of race in Wales. Belle her second feature film released in 2013, a very different work, is a period piece based on a real life story of Dido Belle Lindsay, a mixed-race woman of an aristocratic family in 18th century England. 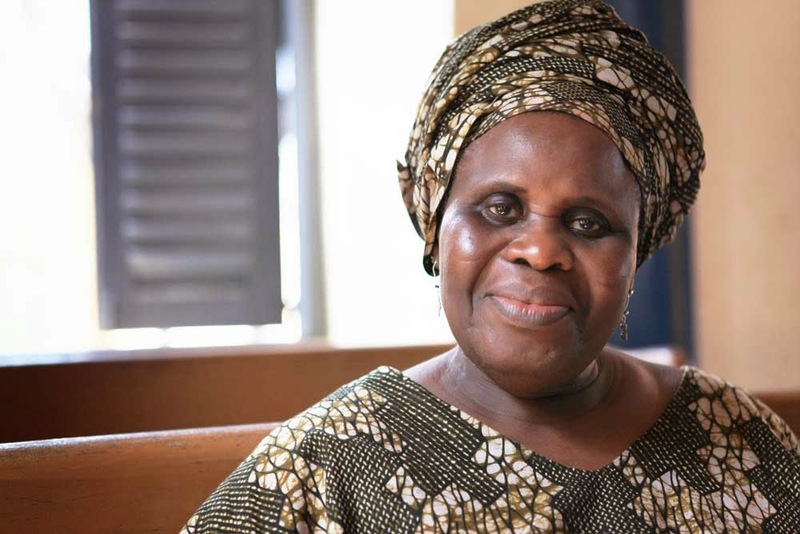 On 17th September, The African Women’s Development Fund launched The Art of Ama Ata Aidoo, a documentary on the life and work of critically acclaimed Ghanaian author, Ama Ata Aidoo, at the British Council in Accra. The documentary was directed and produced by Yaba Badoe and co-produced by Amina Mama for Fadoa Films. 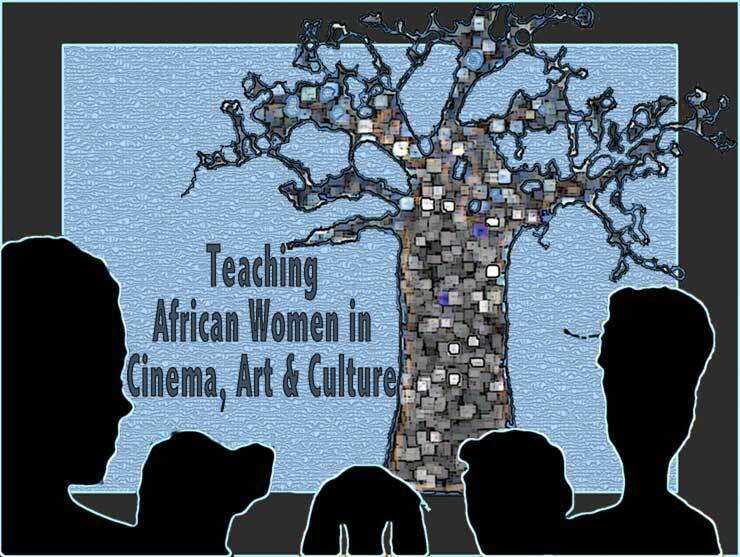 AWDF contributed 40% funding for the project with the remaining 60% accumulated through crowdsourcing on IndieGogo. SOURCE: http://stephaniedongmo.blogspot.com - 2014-09-14. Article by/par Stéphanie Dongmo. Translated from French by Beti Ellerson. 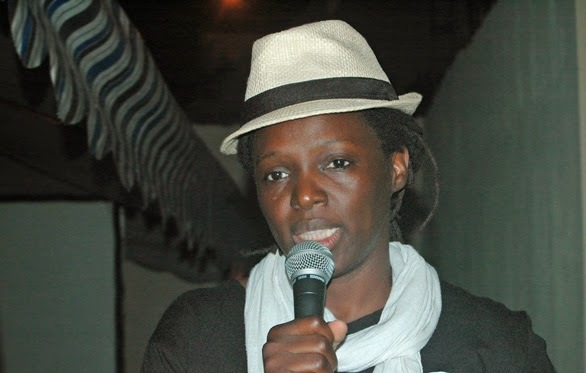 Awarded first prize for documentary at the 2014 Ecrans noirs festival, A Leaf in the Wind by Jean-Marie Teno presents Ernestine Ouandie’s quest for truth, against the background of the history of the independence of Cameroon. "How do you expect a leaf without a stalk to live? I'm like a leaf; I need the branch to survive. When you cut the branch, the leaf will dry, the wind will blow it left, right, up, down, and the leaf will disappear one day." This sentence sums up Ernestine Ouandie’s entire existence. Throughout the film, she relates her sorrow and the perpetual quest of the father. Born in 1961 in Nigeria, Ernestine is the daughter of Ernest Ouandié, the Cameroonian nationalist who led the UPC after the assassination of Ruben Um Nyobe in 1958 and Felix Moumie in 1960. In this 55-minute documentary, she gives herself entirely. She recounts her difficult childhood and her encounter with her father's country in 1987 after growing up in Ghana. She especially decries the veil of silence surrounding the history of Cameroon, which, for her, is an integral part of her family history. To date, the circumstances of the surrender of Ernest Ouandié, executed in Bafoussam in 1971, remain unclear. And there is no commemorative plaque honouring the martyrs, portrayed at the time as guerrilla fighters. Ernestine wants the truth, so she may pass it on to her children, because to project into the future, one needs to look at ones past. "It hurts to know that one must die twice. The first death, itself, is hard enough to accept. The second death, which is silence, will bring us nowhere. When history is written, the wandering souls will finally come to rest," she said. Kwame Nkrumah, Ghana's first president, once said that "the socio-psychological effects of colonisation are far more important than the political consequences because they penetrate deep into the minds of people and take longer to eradicate." Until his death, Ernestine Ouandé carried this burden, in a country where the history of independence has always been eluded. Facing the camera, this beautiful woman, who one senses is desperately alone in her quest, demands justice for truth. Her thoughts are methodically constructed. Her voice and her eyes are full of emotion. One senses that she is close to tears, but she does not crack. To put his story into perspective, Jean-Marie Teno utilises archive footage to recount the struggle for independence. He thus draws a parallel between the life of Ernestine and that of "Comrade Emile," her father. The use of illustrations by Kemo Sambé assists in filling the gaps in the story, and gives the viewer a change from the focus on Ernestine's face. The film shot in English and subtitled in French, is dedicated to the children of Ernestine: Boris, Ernesto and Helen. 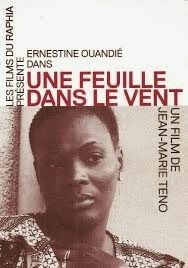 My latest film, A Leaf in the Wind, is my encounter with Ernestine Ouandié. There are specific circumstances that often dictate most of the films that I make. Beginning in 2000 Ernestine tried to meet with people who had worked on colonial history, who knew a little about the history of her father. Also she and my sister had a mutual friend in Bafoussam where my mother lives and where I go often on vacation. We ended up meeting, we talked, and she had this need to talk about her father’s story and that's how the interview was done. I was so touched by her story. I did not know what form the film would take at that point. For a long time in the interview, she talks to me about the metaphor of the leaf but I did not understand. It is when she died that I realized that it made sense. I found in her a depth that made ​​me think that her words should be given attention, everything that she said in relation to pan-Africanism, the way Cameroon was perceived by the Anglophone countries after independence. It was the moment to question all of this, as well as history. In order to put Ernestine’s story in perspective, I needed historical markers. The archival footage of this film is drawn from d’Afrique je te plumerai (Africa I will fleece you, 1992). Ernestine had suffered from the absence of her father during her childhood. When she became a woman, she needed to know the history of her father. So I structured the film around her life, her father’s, and the history of Cameroon. To recount, from someone’s perspective, the larger history of Cameroon, those things we do not talk about. This meeting makes sense only when you have brought together all these reflections and that is why I recorded it at the same time, I had to build a story that allows people to continue to deconstruct a lot of the things that we are taught in order to lock us into a certain way of seeing and thinking. When I arrived at Ernestine’s house, I only had the camera, a 3-hour tape, and no tripod. There was not enough light in the living room to do the interview so I decided to do it outside. We sat on the porch as if having a conversation. The shot was fairly wide, as I did not want a close-up since I knew that what she was going to tell me was not easy, I put the camera on my lap. I started in French and then realised she was searching for words. After an hour we conversed in English where she felt more at ease and then she really began telling her story. When you have an interview with someone who has constructed a thought that develops over time, it is not easy to stop her. First, she is a woman who is beautiful, who is a pleasure to look at, and at the same time, there is all this pain that is confined inside. When I showed the film in Europe, many people came out of the theatre with tears in their eyes. We see someone with so much strength who then leaves, and at the same time she is given homage without being judged. Someone talks for 30-35 minutes, we listen to her words, and in these words are her experience. This emotional weight I put in context with the story of her father; something we do not often see in documentaries. A film only allows people to begin to search, to talk. We must speak in order to free those who are in pain, one must not be afraid of these words. A history is told from a lot of different perspectives. How each person perceives the same events is interesting to analyse: to know why there was conflict and how we go forward in relationship to this history, to allow us to go beyond it. This work is necessary; otherwise we will continue to have resentment and suffering. And that is why Nkrumah said that the psychological effects of colonialism are much longer and difficult to eradicate than the political and economic consequences. When I make films, I expect some knocks; but there are those blows that are very painful because they come from where one least expects them. The work I did for Ernestine, her family, her children, for me it was a commitment to the continuation of what I do, and it is very difficult to see people come up to me thinking it is a film that I made for my own benefit from the hardship of someone else. If I wanted to get rich, I would be doing a different kind of cinema and not this. I think the work I do, as do many researchers and historians, is not always recognized for its fair value. It did not go over very well with some members Ernestine's family. I do not hold that against them, I know that human nature is what it is, but I'm here, I'm going to cope. I was touched by the reaction of the children of Ernestine; that is sufficient. The film has not been shown much. Its first showing was on 18 March 2014 at the time of the premiere. An attorney for Ernestine’s family wanted to ban the film. I wanted to show the film in Cameroon. People were disturbed at the beginning and ended up being captivated by it. I am very interested in how people perceive the film here; I always try to put myself on that level. Women filmmakers, past and present, have been the subject of recuperative catalogues since the 1970s, and Celluloid Ceiling is a new entry into this heroic history of rediscovery and advocacy. Sophie Mayer reviews the recent publication Celluloid Ceiling: Women Film Directors Breaking Through, edited by Gabrielle Kelly and Cheryl Robson. When Sophie Mayer's review of Celluloid Ceiling was published--and the link posted here, I had not yet received my copy of the book. Since recently receiving a copy, I have read the contribution by Maria Williams-Hawkins entitled: "Speak Up! Who's Speaking? : African Filmmakers Speak for Themselves". Her chapter, under the section on Africa, immediately follows mine. I must say that I am extremely disappointed in what in fact is a mere adaptation of my chapter, “Africa through a woman’s eyes: Safi Faye’s cinema,” published in Focus on African Films, Françoise Pfaff, ed. (Indiana University Press, 2004). The subchapter of Williams-Hawkins' article, “Safi Faye, Ph.D.: La Grande Reference” is not only a complete adaptation—though badly interpreted—of my article, but in the many instances where my ideas and analyses are brought out they are presented as if they were her own. When comparing my chapter with that of Williams-Hawkins’, it is, from my point of view, straight out plagiarism. Quite frankly, I think the article is not well written and am surprised that it did not go through a peer review. If anyone is looking for information regarding African women in cinema this is definitely not a source to use. 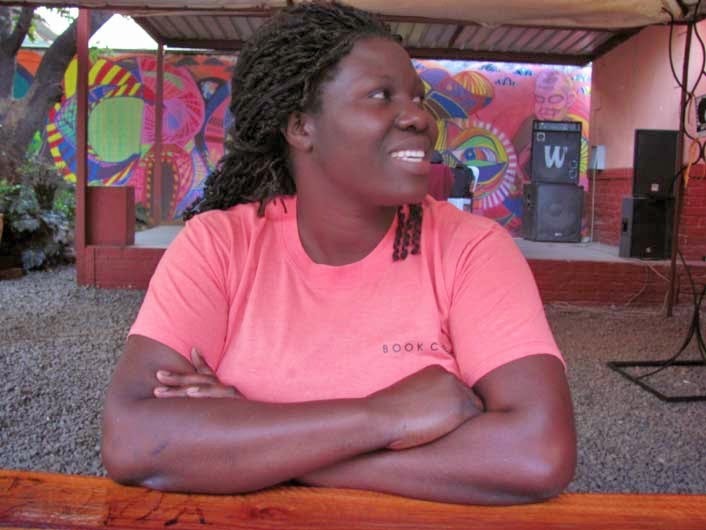 Jessie Chisi, who lives and works between Zambia and Finland, and is founder and director of the Zambia Short Film Festival, has recently completed the feature documentary, Between Rings: The Esther Phiri Story. She relates about her evolution and experiences in cinema. Jessie what were your experiences with cinema while growing up in Zambia? When I was growing up, cinema was like a luxury or fantasy, going there because it was a holiday or a special event in the family or as a reward for passing your exams. Most of my childhood cinema memories were going to outdoor screenings that were set either in halls or under a plastic stall. I would often use money to pay for the entrance fee rather than for lunch. The films were always projected from a small screen but for me it was phenomenal, that excited me. I watched films such as Lion King, Chaplin and Good Fellas. One of the films that really left an impact on me was the South African apartheid story, Sarafina and stories like Shaka Zulu. I could relate to the pains and agonies of the people. Those stories were always with me. You are an emerging filmmaker, what inspired you to want to make films and what has been your learning process, training? I started writing stories when I was twelve years old. In school I always did well in literature and storytelling, those subjects were my comfort zone; I would shine with them. But what inspired me to be a filmmaker was the fact that no one believed me and I wanted to prove them wrong. Everyone thought that I was a dreamer--filmmaking was a very lonely path for me. Who talks about being a film director at the age of sixteen, and breaths and thinks cinema in a country where at that time the industry was non-existence, barely starting? However I began the quest. I met the necessary people who inspired me. People like Cathrine Kaseketi who trained me for a long period; and also Sakafunya Chinyinka who was my mentor; he made me believe in myself. Filmmaking has been a process of inquiring, discovering, experiencing, developing and having fun. I started out as a continuity supervisor, which allowed me to grow, and it opened my eyes since I was constantly working close to the director on any given project. I worked on Karl Francis’ Hope Eternal as continuity supervisor, Cathrine Kaseketi’s Suwi, and Zambian Kitchen Party. As I was looking within to discover myself, I served under people who inspired and challenged me. To think ten years ago that I would have a film that is screened in a festival—it was a far-fetched dream. You attended the Durban Talent Campus in 2009, what was that experience like? This was an awesome experience. Actually it was from Durban that I really started believing in myself. I pitched a film for the first time and I made a very good impression. Though it was a project that I never got to make, in Durban I was able to meet talented people and well-established filmmakers, which was a breath of fresh air. I was very motivated, and from Durban I never looked back. I was very young then, outgoing and extremely ambitious, never believing in failure. Then in 2010 I was accepted at the Berlinale Talent Campus. What did the Berlinale Talent Campus entail and what did you get from the experience? It is a very competitive campus and I was selected with my project, Woman on Hold. It was among the 12 selected projects from over a thousand applicants. At the Berlinale my project got the best pitch review and for the most promising film. I was more than humbled and I knew from then on that my journey to real professional filmmaking had begun. Being young, African and a woman, this industry is tough. I had to brace myself for challenges because I knew it would not get any easier; but I remained persistent, focused and consistent. Art is about consistency and managing your inner desires. In addition, while there I learned how the international markets work, and the question I always ask is “where is Africa in this? Can African cinema fit in? Can women filmmakers fit in? And my answer was yes. The world is slowly changing and it is embracing diversity: I strive to take my stories across the globe. So the experience for me in the campus was all about acquiring knowledge, networking and making lasting experiences. Your film Between Rings co-directed with Salla Sorri is about your cousin who is a champion female boxer. Did you decide to focus on her in order to follow her training and progress leading up to the 2012 Olympics? Time flies, and the film has changed a lot. Originally called Woman on hold, the film is now titled Between Rings: The Esther Phiri Story. It is a story about my cousin Esther Phiri, the first-ever Zambian female boxer who was torn between marriage and career because she could not have both worlds as one conflicted with the other. Again those kinds of situations disturb me, first as a human being and second as a woman. I was intrigued and started asking questions like "why shouldn’t she be able to if she loves it?" Esther’s story is one of a woman who always puts her life on hold to achieve the other thing and always remains empty within herself. She gives up her love for boxing and gives up boxing for her independence. You are now living in Finland, working there in film and visual media. What have been your experiences? I actually have lived for the past 5 years 50% of the time in Zambia and 50% in Finland. My experience of having a torn life in two different countries has made me more aware of who I am as an artist. I went to Finland to train in filmmaking on a scholarship organized for local Zambian filmmakers. During my training there I made a 22-minute short called Every woman knows. Oh, please don’t ask me, “why another woman story”. I am always around women who protest that women should tell their own stories. This movie was more of my discovery stage. The following year I directed Goodbye, about a woman dying of cancer and her son is waiting to say goodbye and she wants lip gross because her lips are dry, however, the son misses the moment to say good bye but he puts the gloss on her lips anyway. Unborn is a story about a woman who has to make a very critical decision in her life. Between keeping her newly-promoted career or her unborn child. I am actually releasing a second version of a similar situation but this time to be set in Zambia. I am always fascinated about women and their decision-making; how we always have to give up one thing in order to have something else. What has been the reactions of the Finnish public to your work? Most of the Finnish who see my short films say that I have a melancholic Finnish way of storytelling. I suppose it is because I now know the culture there. I have studied the people. I have connected with Euphoria Boralise, a Finnish film association with whom I have been doing projects. To me, Finland is a good place to write and to be inside oneself as an artist. The film industry is small, but it is big compared to Zambia. 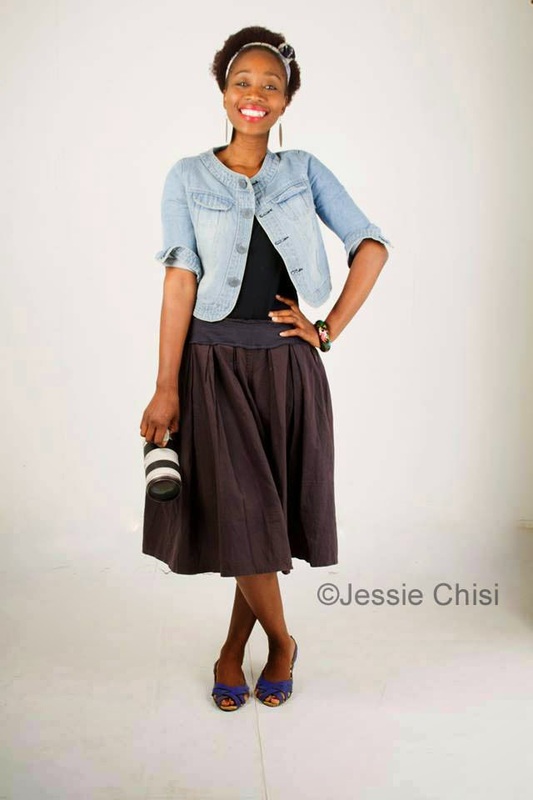 You are founder and director of the Zambia Short Fest, which is a visible part of the Zambian cinemascape. The project was born from the fact that Zambia has no film school, yet there is a lot of talent. The Zambia Short Fest wants to encourage rising talents and filmmakers to use short films as their school. We showcase shorts of 15 minutes or less. 2014 is our second edition and we are going to screen 60 films, sixty percent of which are Zambian films and 40% international. 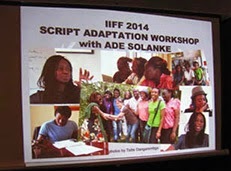 There is a three-week intensive film-training workshop prior to the film festival where 24 young Zambians are enrolled. The training is in co-operation with Euphoria Borealis and is funded by the Finnish film foreign ministry. A Zambian cinema culture is emerging as a result of talented filmmakers like yourself. 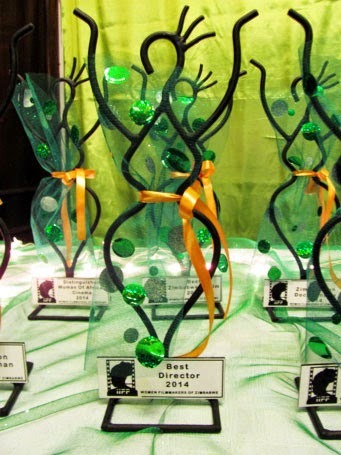 You have already created the Zambia Short Fest, how else would you like to contribute to its growth and success? I love Zambia. Zambia has untapped stories and talents and I want to explore that. I have just finished making my first feature-length documentary and I am excited especially to see and hear what Zambian thinks about it. I want to see where this boxer’s story leads me. I am working with an amazing woman, Victoria Thomas who has been a great pillar. She is in charge of African and world distribution of the film. 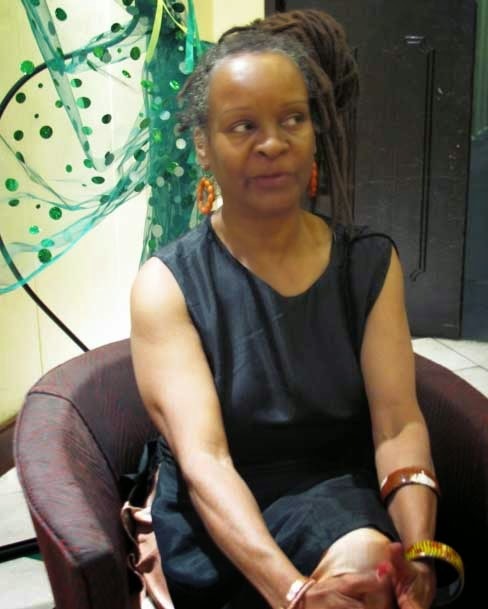 Interview with Jessie Chisi by Beti Ellerson, September 2014. 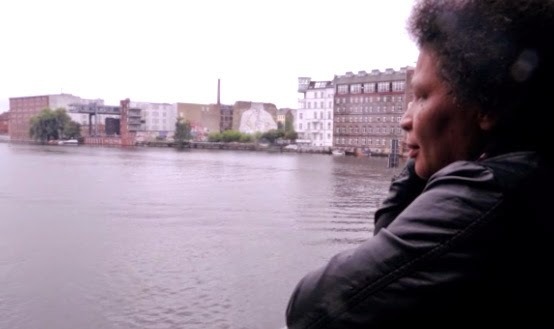 The series is written by Naomi-Beukes-Meyer, herself an African woman who has been living in the German capital for nearly 20 years. Though there is a large African community in Europe, Naomi has always felt that there is a distinct lack of film and television dramas highlighting first and second generation African female and, in particular, lesbian experience in her adopted country and it was this that spurred her on to write the first episode of The Centre two years ago.